Ground Control to Major Baby: Could you be an astronaut? Does baby have what it takes to become an astronaut? That's an affirmative, Houston! Discover all the incredible ways that prove baby already has what it takes to become an astronaut -- from growing healthy teeth to eating from plastic packs to working in small spaces. 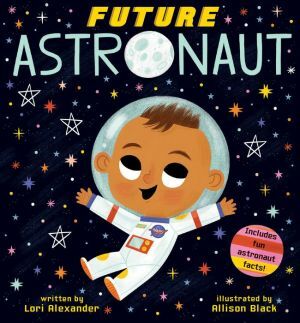 Includes lots of fun astronaut facts to help prepare little ones for takeoff! Future Baby is an adorable new board book series that takes a playful peek into an assortment of powerful careers and shows little ones how their current skills match up with the job at hand. With Future Baby, babies can be anything!